Annual Employee Open Enrollment is October 8 to November 8th. 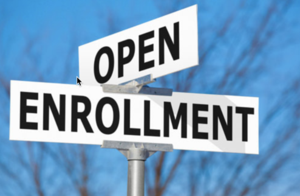 Welcome to the Lemon Grove School District open enrollment process for the 2019 benefit year! Please utilize the VEBA portal to make changes to your medical, dental and vision coverage elections, as well as confirming your current elections. When you login to the portal, you will need to register as a new user. Due to the new online enrollment process, you will need to select your current Vision and Dental coverages. You must go to the VEBA portal to confirm your benefits, even if you are not making any changes by November 8th. You may view your current 2018 benefit elections in PeopleSoft Employee Self Service (ESS). Click here to access ESS. Changes to voluntary benefits such as: supplemental life insurance, accident and disability insurance, dependent care reimbursements, medical expense reimbursement, etc. can be made by visiting the Employee Benefits page on the Lemon Grove School District website. Click here to access the Employee Benefits page. If you have elected American Fidelity benefits including Flexible Spending or Dependent Care, you must schedule an appointment with Lois Hagar @ American Fidelity in order for benefits to continue. Her contact info is (760) 798-7515. Changes to 403b/457 Salary Reduction agreements can be made by visiting the Employee Forms page on the Lemon Grove School District website. Click here to access the Employee Forms page. Additional information regarding the retirement savings plans can be found by visiting the Retirement page under Employee Benefits. Click here to access the Retirement page. All open enrollment forms must be returned to the Payroll & Benefits office no later than Thursday, November 8th. If you are unsure what other benefits you have elected, you can find this information on your most recent paystub under before-tax deductions, and after-tax deductions. You can access your paystubs online through ESS. The current benefit rate sheet for 2019 is attached for your reference. Please contact the Payroll & Benefits team with any questions regarding open enrollment or if you are experiencing technical difficulties.